The Dodd Frank Act is part of a broader regulatory reform theme that requires compliance with specific rules and regulations as well as improvement of overall risk management practices. 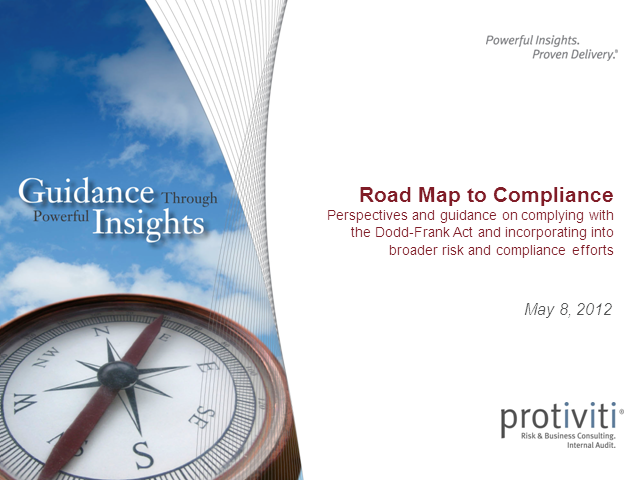 Financial institutions are at various mile markers on the road toward implementing the policies and practices that will help them achieve risk and compliance goals. • Do we know everything we need to do? • Where do we start? • How do we get it all done? • When do we need to complete it by? • What have we done so far? • Can we efficiently communicate it? • Can we easily repeat it? • How does it all fit into the bigger picture?